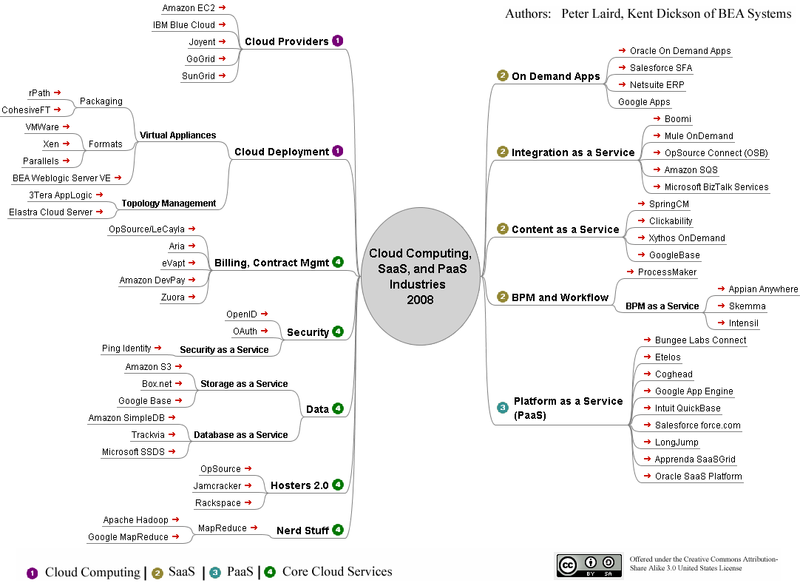 Peter Laird, managing architect for the WebLogic Portal, and Kent Dickson, Vice President of Strategy and Product Management at BEA, have just recently posted a good overview of the Cloud Computing, SaaS and Paas markets. Well done guys! While they do not attempt to cover everyone in the space, as that would be next to impossible, they do hit most of the major players and paint a clear picture of where these technologies sit. They have also provided a list of links that is a great reference and good fodder for research on each of the services. This is the graph they have published. DreamHost is definitely one of the best web-hosting company with plans for all of your hosting needs.